I just returned from an epic long weekend high on the Grand Mesa of western Colorado. There was still snow covering the ground of the shaded forests, and yet there were millions of wildflowers in bloom. Meadows, hillsides, lake shores and following streams were explosions of wild flowers in bloom. We are lucky here in Colorado that most of these wild flowers are also medicinal plants. I was in herbalist heaven! I saw the largest spread of nettles I have ever seen. The biodiversity of this mesa blew me away. Being amongst these sacred plants filled me with the deepest joy. I felt connected to all of life in a profound way, just being surrounded by something that I deeply love, and I was sharing it with family and friends. I want to share my joy with you. Please check out some of my herbal photos from my trip at the end of this page! I want you to take time out of each day to find what fills your heart with joy. Somehow, make a little part of each day of your life immersed in what you love, even if it is only for 15 minutes. For me, shaking up the arnica and wild roses soaking in a witch hazel/grain alcohol blend for the medicinal liniment I am making, brings me joy. I love herbal medicine making. Yep, I am a plant geek, but it makes me truly happy. What makes you truly happy? What is your craft, passion, joy? Do you dance, garden, knit, sew, play an instrument, Bible study, read, Sudoku, hike, ride your bike, bake, build? What is it that you create in your life that fills your heart with pure love and joy. Go and do it, as much as you can each day or week; get out there, go forward creating your own happiness, because when you do you become a healthy, fertile being! 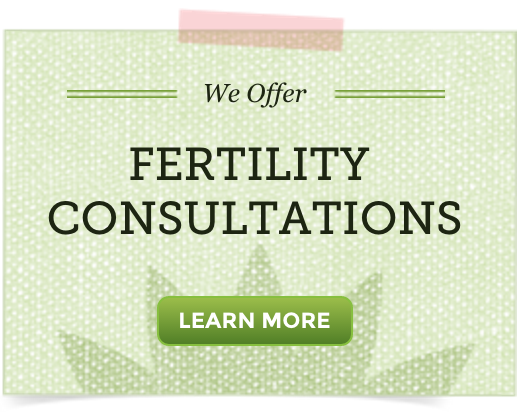 Are you tired of struggling along with your fertility issues? Sick of timing, charting, thinking, and worrying about your fertility? Wondering when your turn will come to be a mother or father? Life is not always an easy and joyful path; it is wrought with challenges, pain and disappointment, but it is how you choose to react and work through it that counts. Have you taken time today to honor where you are at on your fertility journey? Have you thanked your body for all that it has done for you today? Have you taken a moment to find joy in each day you are alive? If your answer is no, then today is your day to change your perspective! We all get down and out. You know what I mean; feeling like you are in a funk that you will never get out of. Maybe you have been waiting for 2 weeks, excited that this would be the month you get a positive sign on your pregnancy test, and then your bleeding time starts. Perhaps you finally got in to see the Reproductive Endocrinologist only to find out you have low ovarian reserve and blocked fallopian tubes. For many of you men out there you may feel like you have failed as a father because your sperm count is low. Some of you have multiple fertility struggles; I can feel them weighing you down. I know that the path seems narrow and bleak at times, but I also know that each and every one of you has the capacity to change your circumstances, to follow your dreams. It is a process, something you must work at a little at a time, day by day. 1) What in your life makes you truly happy? 2) What is something that you absolutely love to do? 3) What is something you can do to honor yourself each day? 4) What is something you can do to honor your fertility each day? 5) Name the most important part of your life. 6) What is the most nourishing part of your day? 7) Is the most nourishing part of your day a healthy choice that inspires joy within your heart? 8) How important is laughing to you? Did you laugh today? To help you out, I am going to share my answers with you in hopes that sharing some of the little joys in my life will help inspire you to get creative with your answers. Search deep inside for ways to keep yourself happy, even in the darkest of times. Ideas, actions and joy to keep you moving forward! We are beings that are made up of several different facets of life, but at the core is the pure light of love and joy; finding that within yourself is going to make your fertility struggles more manageable, and perhaps your body a bit more fertile, healthy, and healed! 1) Being with my family and friends out in Nature. 2) Wildcrafting medicinal plants and gardening. 3) Take time each day to be in nature, taking in the beauty of the gifts of this world. Just sitting there in awe; how blessed I am to be living on this amazing planet. 4) I hold my hand over my womb and tell her how much I love all she does for me. I also try to eat well to nourish my body, and to go for a walk outdoors each day. 5) Taking care of myself and my family naturally and with love, including eating healthy foods. 6) Making dinner from scratch with a large variety of foods and then eating it with family and/or friends! Thanking God or the Universe (whatever you believe in or worship) for all that sustains me; honoring all that is part of my life, even the hard parts. Praying before eating is special to me! 7) Yes, if it is done with reverence and patience. 8) Very. In the past I didn’t think that much about how often I laugh, but then one day I did and I realized I needed to be laughing a lot more! Now I try to find things that make me laugh each day. I find the best way to laugh is to share a conversation with a child or your best friend! Hang your questions and answers near your bed, so that each night before bed you pray and focus on the joys in your life. The list will also be something you see as you rise each new day. Sometimes when we focus so hard on our PCOS or trying to get pregnant, etc… we lose sight of those parts of our life that make us happy. Those other part of our lives, the ones we love, are the helpers. Those are the parts that get us through the struggles, they help to heal, and keep us moving forward. Without them we cannot be fertile or healthy. So, each day go through your list and try to get in each of the 8 on that list that are important to you. Even if it is only for a short while. Maybe you can combine a couple. Allow yourself you make your happiness a focus. Thank you for this post today! I have been finding more and more lately that TTC has been taking over my brain. I am trying to do all the right things that I am narrowing my focus so much, and worrying a lot about things that may not even need worrying over. This was a good check for me today.